Creating the bookmarklet is now finished and you are ready to use it. Now to save a webpage as PDF all you need to do is visit the webpage you want to save as a PDF document, then select the bookmarklet that was just created. 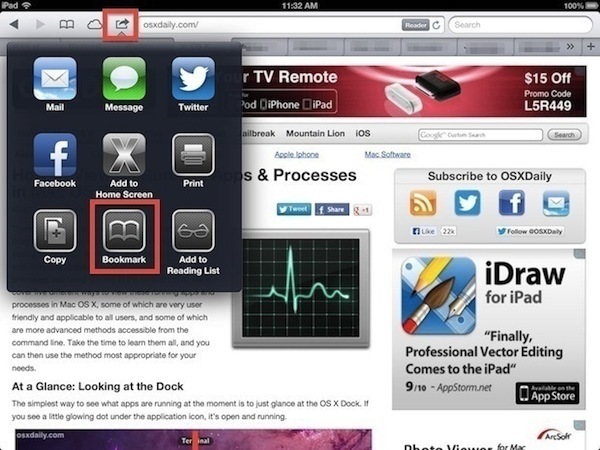 iBooks will launch and you’ll then have direct access to the webpage as a PDF file stored locally on the iOS device. If the document is multipage, it’ll be broken up into unique pages with thumbnail browsing access. Depending on how often you use this, you may want to set the Bookmarks bar to always be visible in Safari on the iPad, thus allowing you to always have access to the “Print PDF” bookmarklet that was created. The only real downside to showing the bookmarks bar all the time is a slight reduction in available viewing space of webpages, and it does clutter the screen slightly. Don’t forget to check out some other helpful bookmarklets for iOS, each of which can be used to add some great features that are currently missing from Safari. Does not appear to work with encrypted pages requiring a login. No, it wouldn’t—or with any page that had dynamic content (eg, those WWW pages which refreshed automatically, such as many news service sites). 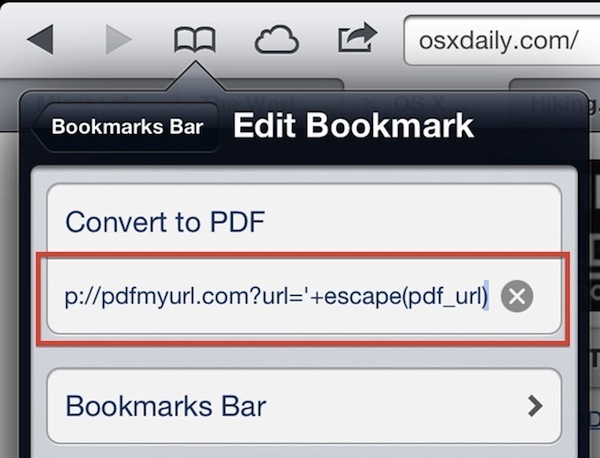 What this method is basically doing is sending a particular URL to a third-party service and saying “print this URL as a PDF” so that one of the services noted can do so and then send it back to your iOS device as a PDF. Put another way, it’s not making a PDF out of the page on your device, it’s having a remote site pull the URL on their end and then make a PDF out of it. Your instructions don’t make sense to me. I don’t find a “share” button on Safari, so am stymied before I get started! 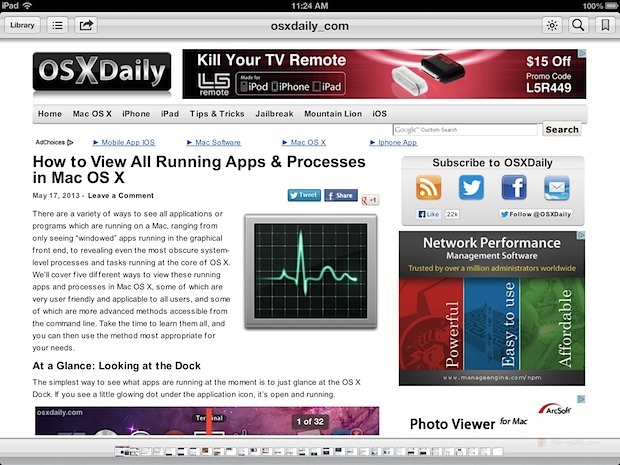 As the instructions say, the “Share” button in Safari looks like a square with an arrow coming out of it. Easy, just read and follow the tutorial! the problem is i cannot access my clipboard!! It works, but it breaks up the page too much. Do I have something messed up in settings ?